Insects are the most diverse group of animals on Earth. There are more than a million described species, more than all other animal groups combined. Insect collecting is a very popular hobby and is often assigned as a classroom project. With so many species, insect identification is difficult. This chart presents all the insect orders through a brief description accompanied by detailed pictures of one or more species. A section on anatomy identifies important physical characteristics. A unique branching system permits the novice to identify a specimen to the order level (beetle, bee, bug, butterfly, etc.). More detailed identification requires professional training and an extensive library. This poster is extremely popular with collectors, kids and educators. 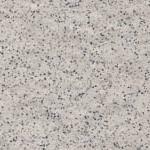 It is widely used in schools and by collectors. This second edition has been graphically streamlined, making it easier to use. 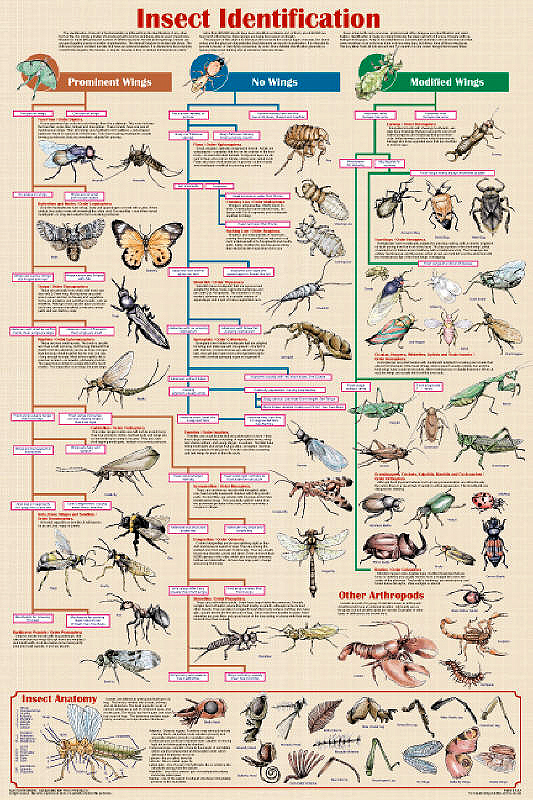 This poster contains a large section devoted to insect anatomy. It begins with a grasshopper with all of its various body parts identified. It is accompanied by illustrations showing the variation of body parts between the various species. Compare the the head of the butterfly to that of the beetle, butterfly and fly. Notice the major differences in their mouth parts. It is such characteristics that are used to determine classification. A glossary provides information on each body part. Also included in is a section that introduces Arthropods. They are animals that have external skeletons. In addition to insects, the arthropods include spiders and the crustaceans. Several are shown.